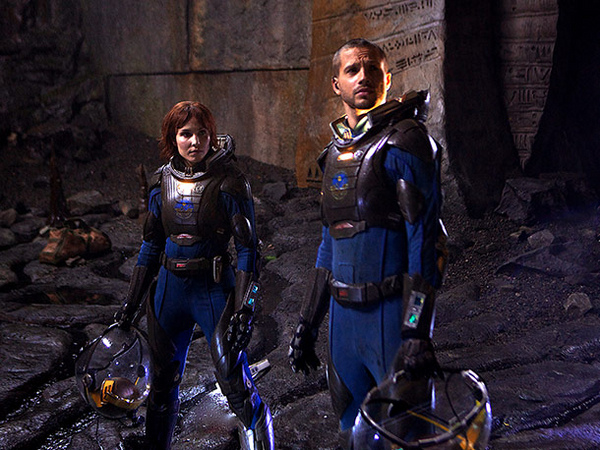 Check out Noomi Rapace and Logan Marshall-Green in this new image from Ridley Scott's PROMETHEUS. We've seen simliar images but this is a good one and really clear of the two standing with their helmets to their sides. Prometheus also stars Charlize Theron, Idris Elba, Ben Foster, Michael Fassbender and will hit theaters on June 8th. This is my most hyped about movie of 2012 and I can't wait to see it!